The ACEHP is an Australian association of Qualified Hoof Care Practitioners and Hoof Rehabilitation Specialists. All students listed on this site have studied a 12 month trade certificate course in Equine Hoof Care. 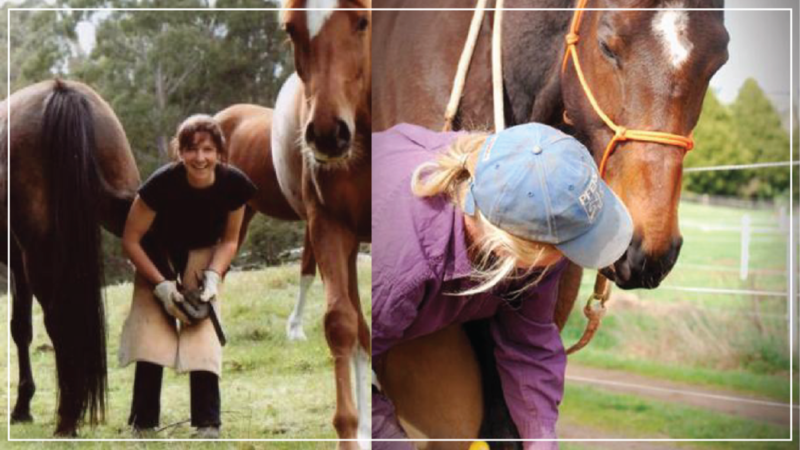 Importantly it is underpinned with nationally recognized units consolidated around equine hoof care. This course prides itself as being the best source of practical hoof care in the world. To advance the welfare, care and management of domestic equines through the education of proven practice and principles of sound, healthy, happy horses. In particular to highlight the wild horse as a model for natural hoof care and horse keeping. Search Australia wide for certified Trimmers. We run some one day workshops and seminars throughout the year, often getting spots with excellent speakers at a discounted rate, so please check them out and join us.